Oh nay nay. The frugal gourmet was the best cooking show. Think Bob Ross.... but for vittles. 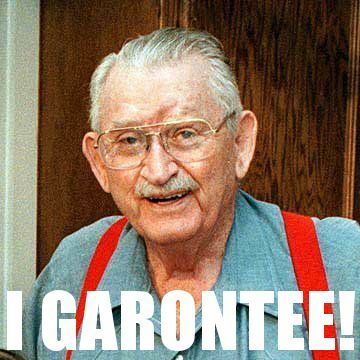 F that noise, it was Justin Wilson I gar-on-tee! You racist SOB! I f'n hate you! Absolutely! Rice pudding ftw btw. Rice and beans is a great alternative. But that rice pudding, a desert, not rice for the table. I used to like watching him, too. Only thing was he always cooked for an army - his pots were so big it was amazing the old coot could lift them. Also, how bored are you in NC to ask about rice on a bike forum? wow um okay you arent concerned for my general well being? Add some grilled skirt steak and I'm right there with you. So yeah, you might die soon.